I came across this soft bound journal a few months ago at Barnes and Noble and just had to get it after seeing how nice and thick it was. The inside paper has the grid design which just so happened to be what I was looking for at the time. 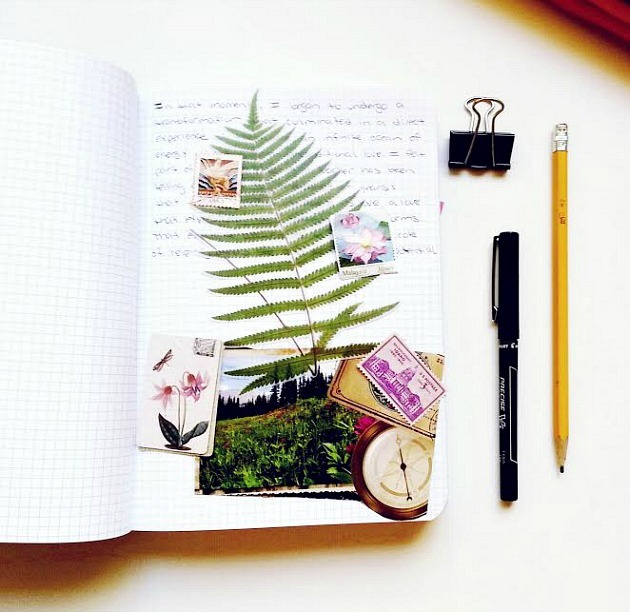 I don't know about you, but finding a good journal with grid paper is so hard to come by where I live. Most of the ones I come across either have a spiral spine, too thin, or are the Mead Composition Notebooks, which are too big for my journaling preferences. 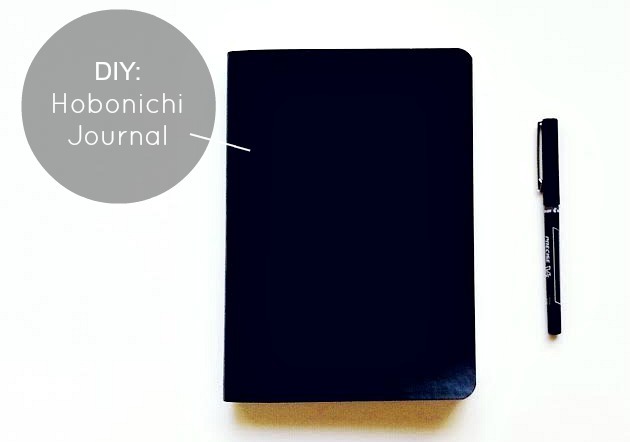 But this black journal was just the right size and feel for what I had in mind- my own DIY Hobonichi Planner. 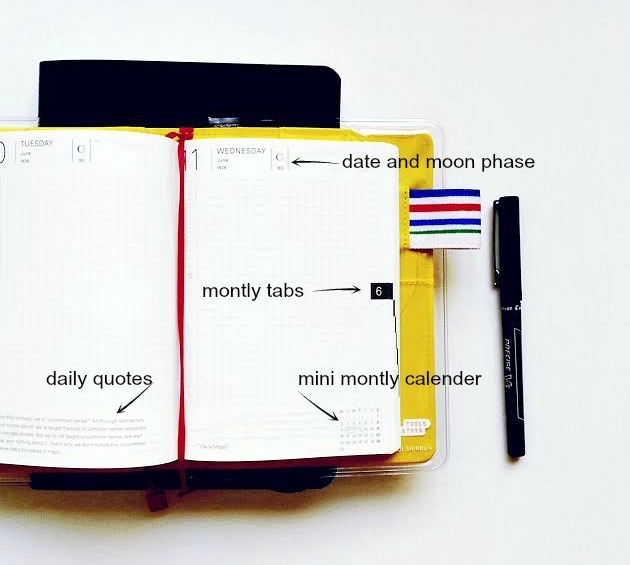 Now, while I still adore my Hobonichi planner (click here for the un-boxing post), I quickly realized that it was not cut out for an everyday diary as I had originally planned. My handwriting is somewhat large, so I found that the small pages didn't do too well with it. Plus, I wasn't able to use up all of the journal's pages as they're all dated. So for those days where there was nothing to write about, it would just be left blank, which I felt was a waste. 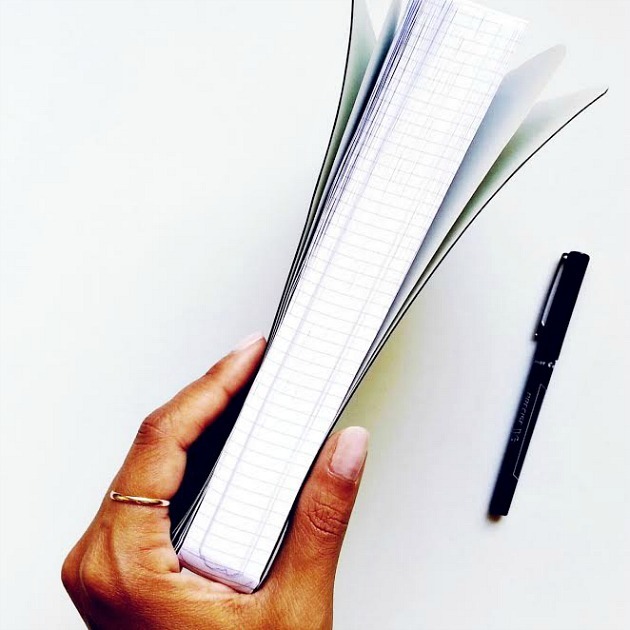 If you've read "My Everyday Journals" post, you'll know that I now use it more as a manifestation/goals notebook, so it's still being somewhat used. 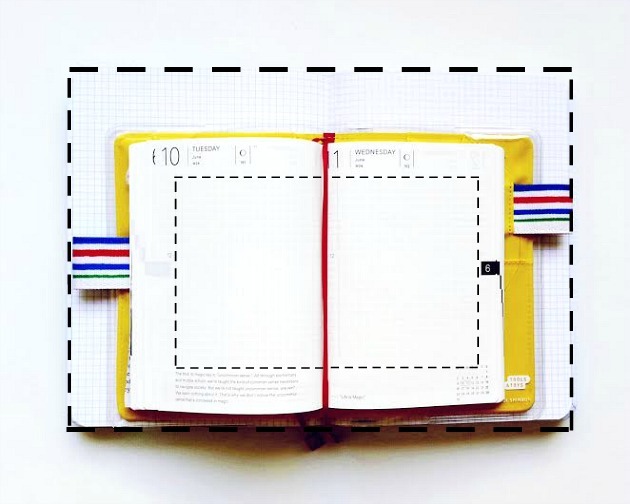 So now that I have this grid paper journal, I'm free to design it however I'd like. I can add the dates on top if I want, or not. I can draw in a free calender, or skip a few months. If I miss a day of journaling, the pages won't go to waste as they're all "blank." And what I love most about this notebook (besides the graph paper) is that it's so thick and full with a lot of pages! It'll probably take me like 2 years to fill this baby up! After a few months of just lying on the shelf, I'm finally starting to put this notebook to work. I glued some pictures and clippings into it. I doodled with my pens, wrote in my normal handwriting size, and just felt comfortable doing whatever with it. I can honestly say that this is my favorite diary notebook right now. If you have a Barnes and Noble Bookstore nearby, I highly recommend checking out this $10 journal. I was this close to buying this one! I love buying notebooks but I bought a sketch book instead on my last visit. 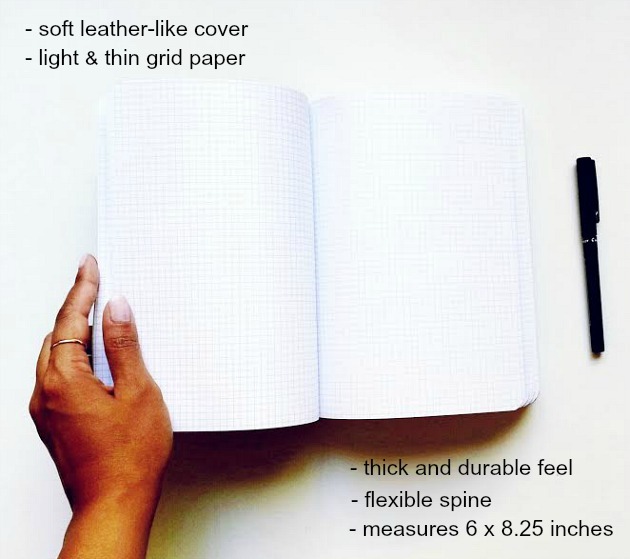 I love grid notebooks, but I actually like the notebooks to be thinner, it makes it easier to carry in my bag. But this one is/was tempting. does it lay flat when open? Yes, it does! Another reason why I enjoy using the Hobonichi planners. 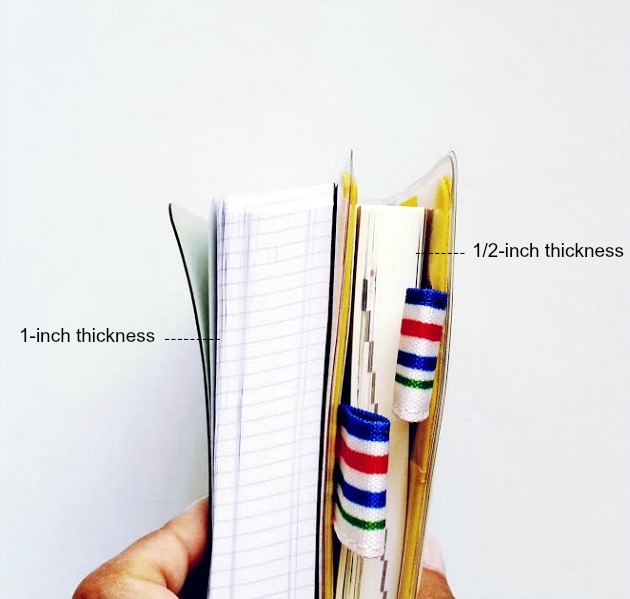 They lay completely flat no matter which part of the notebook you're in- beginning, middle, or end. 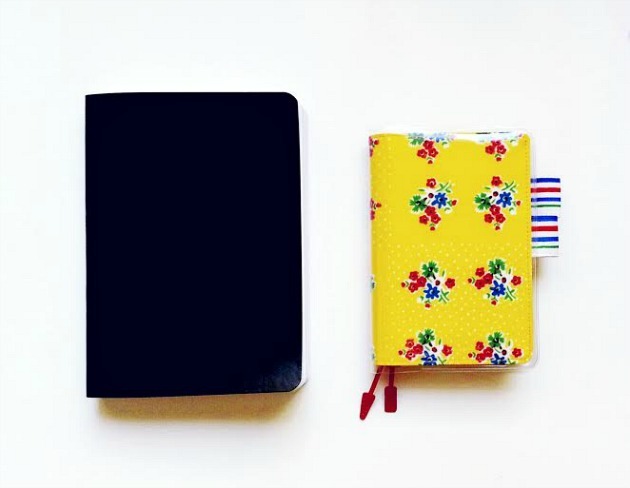 Sorry, I think you meant does the black notebook lay flat. No, it does not. Sorry for the confusion. Omg! Thank you for this. I've been searching for what I want for a journal and this helps!^^ I know it's not all about laying out your habits table or etc. but it's what we want to do with the journal. Write about our days! Needless to say, this is very helpful.